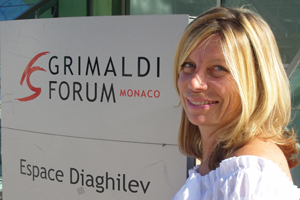 Francoise Rossi has been promoted to head of the marketing and sales department at Grimaldi Forum Monaco. Rossi takes over from Laurence Garino, who has left to join the Monaco civil service. She is one of the original members of the Grimaldi Forum Monaco's staff after joining the sales department in 1999 following a ten-year stint working for the Crédit Foncier de Monaco. Rossi has been responsible for sales development in southern Europe, as well as for the luxury and cosmetics sectors.